Just a reminder, the Hanover Township Mobile Food Pantry will be at St. John’s on Tuesday, July 1st from 10:00AM till 12:00 Noon. We can use volunteers to help with food distribution as our customers will “shop the truck” in the St. John’s church parking lot. If you can help out, and have not already contacted Monica O’Neill from the Ladies Auxiliary, please let Jerry Dudzik know you are coming. All volunteers, please meet in the church parking lot by 9:30AM so we can get the area prepared for our guests. We will need to setup food stations around the truck as well as have volunteers assigned to each family to help them shop. We did this last year around Easter time, so anyone who volunteered last year will be familiar with the process. Thank you for all you do for our parish and our community. Administrative Assistant – Religious Ed. This is a busy month for the Knights and Ladies. 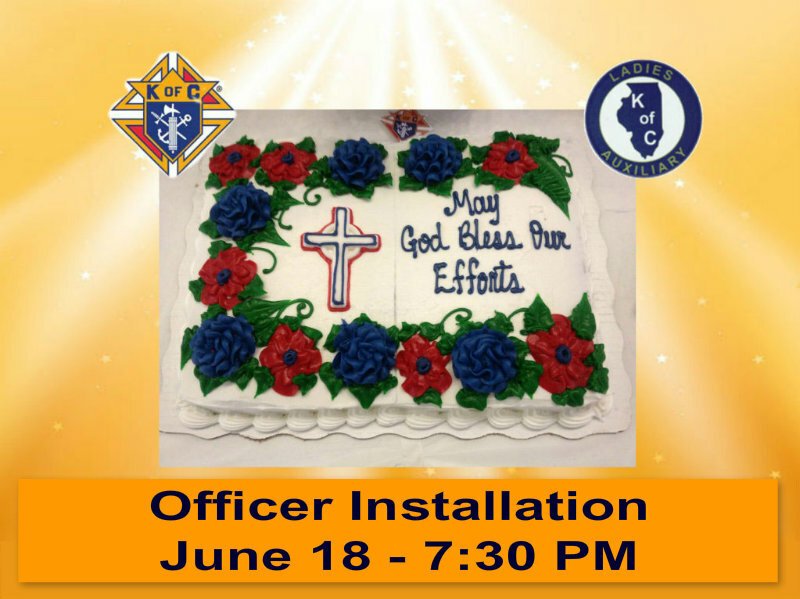 Wednesday June 18th at 7:30 PM, the Parish Center will be the site of new officer inductions during a joint meeting. Ed Adams, our District Deputy, will be on hand to formally induct the men and women who will assume responsibilities on July 1st. We’d like to thank the outgoing officers for their contributions, and wish the new officers well as they begin the new fiscal year. Families are the foundation of society and are at the core of the Knights of Columbus. With this in mind, councils regularly sponsor activities that allow families to spend time together in volunteer activities, faith initiatives and social events. 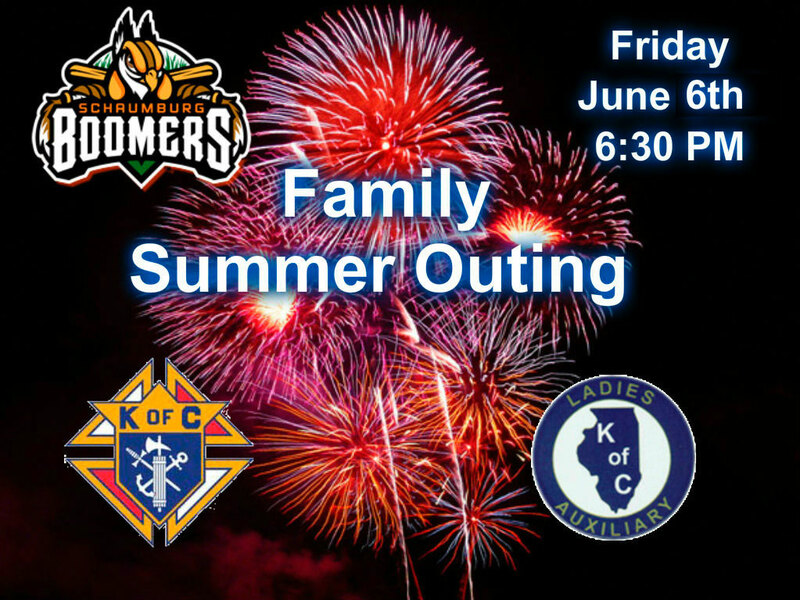 Mary’s Millennium Council is holding its summer outing this coming Friday, June 6th, at the Schaumburg Boomers baseball game. This promises to be a fun evening which will conclude with a fireworks display as part of “Fireworks Fridays” at the ballpark. Sadly, our beloved Brother Knight Fr. Piotr will say his final mass here at St. John’s on June 29th. There will be a reception for him which the Ladies will help serve. Thank you Fr. Piotr for all the support of the Knights and Ladies while you were here at St. John’s. You will be dearly missed. See the post, Ladies Accomplishments 2011-12 Fraternal Year, for more information about accomplishments for our last completed fraternal year. What makes this even more amazing is that all of the 2,740 hours in volunteer time were accomplished by a small band of 45 ladies. Complete the form below, after which one of the Ladies will contact you. Have a conversation with her about the Ladies Auxiliary of the Knights of Columbus in your community. Browse this Website for more information on the Ladies Auxiliary as a whole. Complete a Membership Document – the Lady who contacts you will be able to give you one. 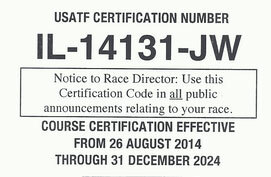 Attend the next monthly meeting. Please complete this form to request that a member of the Ladies Auxiliary of the Knights of Columbus membership committee contact you by phone or email. This will send us an email, so be sure to have an email client setup in your browser. Click for Instructions on how to Setup an Email Client or see the browser’s help. If you are unable to send an email, call the Parish Office with the information below. 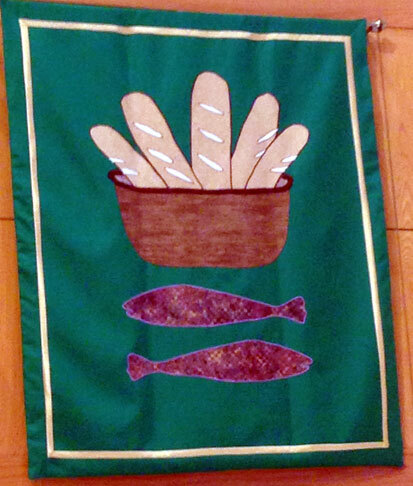 the Parish Office at (630) 837-6500.